At the end of 2015, I realised that I had put on nearly 2 stone in weight. For lent in 2016, I decided to cut out all the junk food and that was the start of my weight loss. Once lent was over and I brought some of the junk food back into my diet, I started using calorie counting apps to try to lose the weight. I aimed to only eat 1500 calories each day (not always sticking to it) and that, along with exercise, lead me to lose 20 pounds over the year. This one really felt like an achievement. It was such a long and hectic interview process. I am quite an introverted person so a regular interview is pretty scary for me. The Benefit interview process had so many stages and one of them included a lot of traffic stopping, which is when you approach someone in a shop, start a conversation with them and try to get them to come back to the Benefit counter with you. I’m thinking of writing a blog post about the Benefit interview process so let me know in the comments if you would be interested in that. When I first decided to write a blog, my goal for the number of followers I wanted to reach was 1000. I thought if I can reach 1000 followers then my blog will have been some sort of a success. Now I’ve surpassed it which is crazy. I never imagined reaching more than 1000 followers. I’m planning to hold a giveaway soon to celebrate reaching 1600 followers so look out for that. I’ve never been the girl who has hundreds of friends. I’ve always struggled in social situations, and have had social anxiety in the past. It weird now even writing “in the past” because I really feel I’ve come on leaps and bounds when it comes to social anxiety in the last 3 or 4 years. I went from not being even able to order at McDonalds to traffic stopping and approaching strangers for Benefit. There are still situations that scare me or make me feel anxious but social anxiety affects me way less than it used to on a daily basis. Anyway, at the start of the year, I had only 3 friends (two of which live in a different county). Now I have 10+ people who I can message to hang out, go drinking, see a movie or whatever, and I feel like that is some sort of achievement considering how hard is has been for me to turn acquaintances into friends in the past. So those are my big achievements from 2016. I’ve been looking back on the year as not such a great year but reflecting on it now, I feel like it wasn’t so bad. What was something you achieved in 2016? No matter how big or small. Let me know in the comment section below. I hope you enjoyed this post. 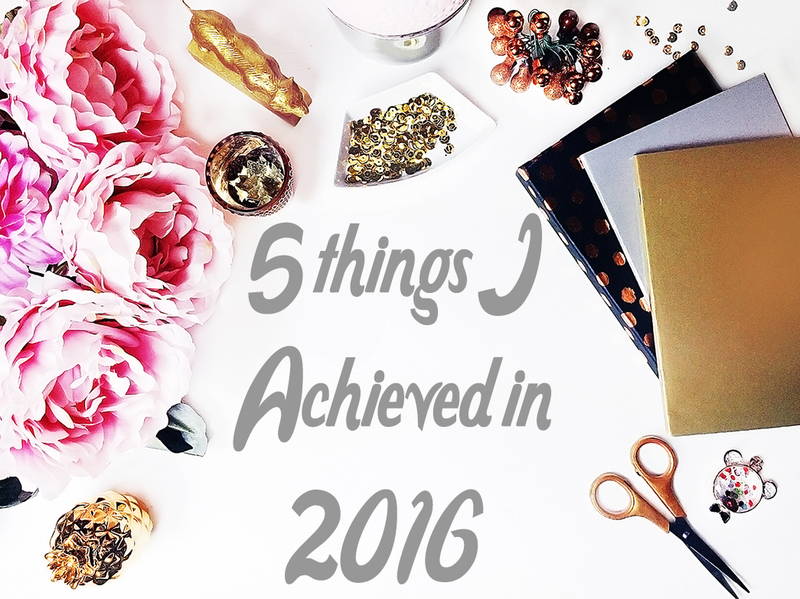 If you did then please make sure to give it a love on Bloglovin or a +1 on Google Plus. I hope you have a great day and I’ll talk to you soon.